This project presents an approach to use a virtual reality tool and its related technologies in AEC, Architecture-Engineering-Construction, Industry. One of the long term goals for AEC industry is to create a persistent virtual environment enabling design professionals, owners and contractors to understand and gain insights of the construction projects before or during the construction. Instead of relying exclusively on 2-D drawings, virtual reality generates a 3D environment and provide opportunity to walk-through. 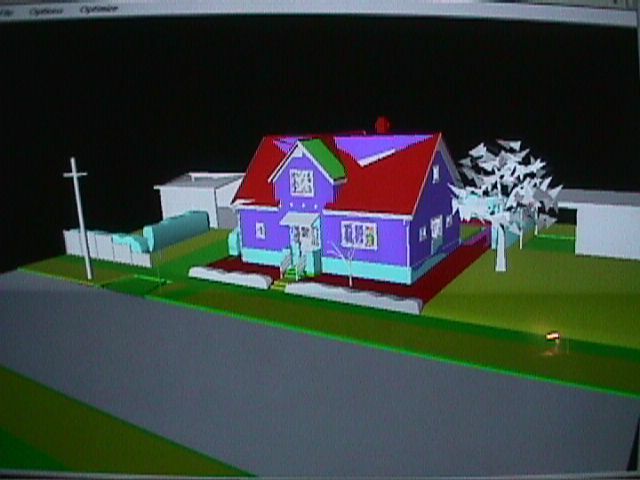 Desktop virtual reality applications on personal computers allow users to walk through simulated environment created via several commercial software. Some expensive systems add peripheral devices to provide a higher degree of interactivity. However, VR projects developed by these software are limited in size and complexity, and immersive quality. One of the most important opportunities of computer visualization is the capability it offers architects and engineers to interact with their designs or simulations. The benefits of visualization also include the ability to focus on specific problem components and details, to show the dynamics of construction operations, and to increase intuition and understanding of construction problems and processes. It is expected that visualization tools and techniques will become increasingly important in AEC industry, especially as computers continue to become cheaper, faster, and better, as standardized software development tools become commonplace, and as we take advantage of the technology. This project will cover the conversion of the DXF files format into a specific format that can be read by the CAVE, examples of DXF models in the CAVE, an introduction to LIMBO and CAVE Collaborative Console (CCC) , and examples of using LIMBO and CCC in the CAVE.